Paleontologists are rewriting the rules of animal classification. The traditional system introduced by Carl Linnaeus has been largely discarded in favor of the cladistic system that shows how species evolved over millions of years. 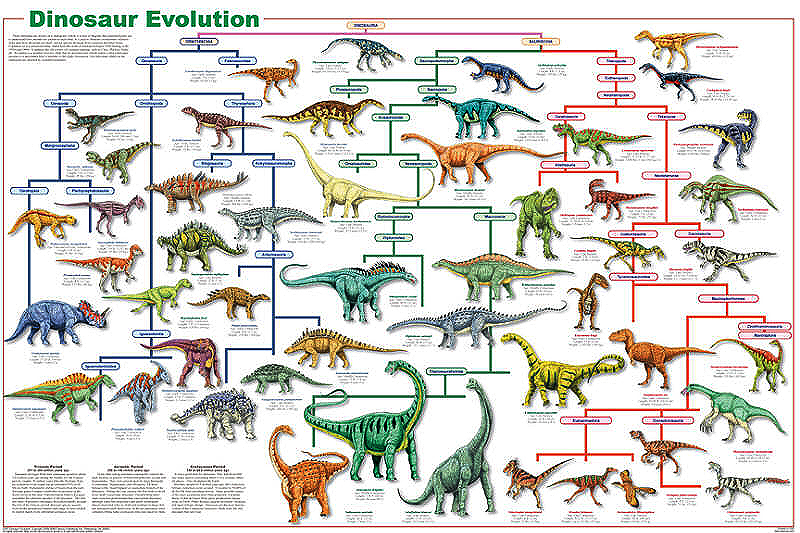 Our Dinosaur Cladogram visually portrays the evolution of the most well-known species. Over 50 representational species are shown; each has a caption citing species, where they have been found, when it lived and its size. Informative captions explain the changes. A few of the illustrations are shown below.